These stunning drop earrings are the top Hecho en Harlem Seller. 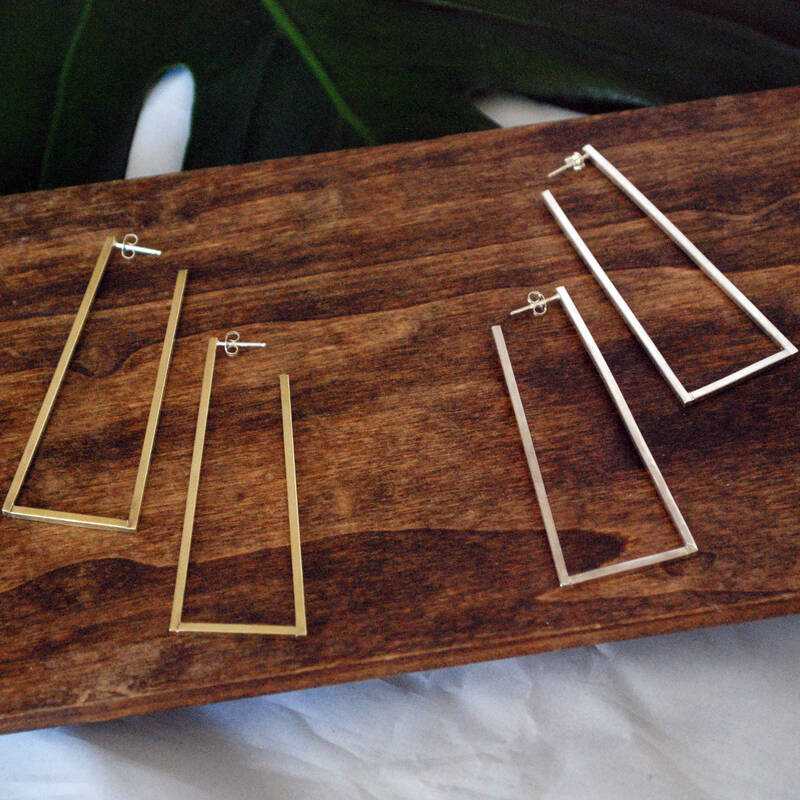 They display Ife's love of geometric forms and are a play on the traditional hoop earring. Post and earring back are sterling silver for sensitive ears. These earrings are light and comfortable for all day wear. Long measures 3 inches. Short measures 2 inches. Beautiful, unique earrings that go with everything! Beautiful, and beautifully-made earrings. Bold, yet elegant. I wore them into a ritzy Santa Fe gallery that also sells one-of-a-kind jewelry and stole the show, thanks to Hecho en Harlem. Gracias! Love these earrings! They're the perfect size for an everyday earring.